The International Critical Incident Stress Foundation, Inc. (ICISF) is a not for profit 501(c)3 organization that is “Helping Save the Heroes” by providing pre-incident education to address the mental health concerns of those who respond to disasters and catastrophic events. As the name implies, first responders are those people that are first on the scene, whether it is a natural or man-made catastrophic event or act of violence. This can include firefighters, law enforcement officers, emergency medical personnel, dispatchers, members of the military (active, reserve, and veterans), school teachers, airline personnel, and any other citizen that may be affected by a catastrophic event or act of violence. First responders answer the call every day responding to many different types of critical incidents including robberies, motor vehicle accidents, emergency medical responses, domestic assaults, school shootings, hostage situations, fires, and other violence. Being repeatedly exposed to these types of incidents can elicit stress responses and symptoms. Critical incidents are abrupt, powerful events that fall outside the range of ordinary human experiences. These events can have a strong emotional impact, even on the most experienced first responder or citizen. In a research bulletin published in May 2018 from the Substance Abuse and Mental Health Services Administration (SAMHSA), they estimate 30% of first responders develop behavioral health conditions, including but not limited to, depression and post-traumatic stress disorder (PTSD). According to a study in this bulletin, 69% of Emergency Medical Service professionals have never had enough time to recover between traumatic incidents. Depression, stress and post-traumatic stress symptoms, suicidal ideation, and other functional and related conditions were reported as a result. ICISF offers critical incident stress management education and training to provide the tools and resources needed for first responders to deal with critical incident stress. These tools and resources allow those individuals to in turn help their peers who they work with on a daily basis. Our work isn't possible without individuals like you providing support to ICISF. Every little bit helps! Your donation will allow us to expand our outreach to be able to reach more individuals seeking critical incident stress management education. Read articles of how ICISF is making a difference in the lives of first responders on a daily basis. Learn more about active CISM/Peer Support Teams that are trying to raise money for important equipment and ICISF training needed for their department or peers. 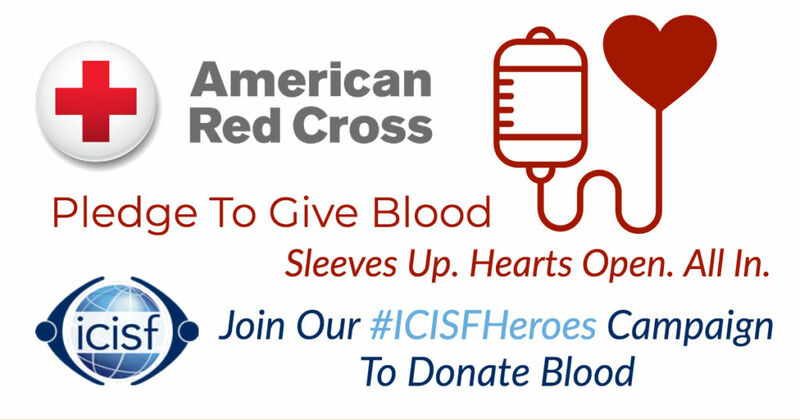 Will you help us with our #ICISFHeroes SleevesUp campaign? Every two seconds, someone in America needs blood. Help us to celebrate life by ensuring that patients in need get life saving blood. Commemorate your peers, friends and family by making and keeping an appointment to give blood to the American Red Cross. It’s easy to find an appointment that’s near to you and every donation can help save up to three lives. What a difference you can make! Click Learn More to view our campaign and pledge to give. 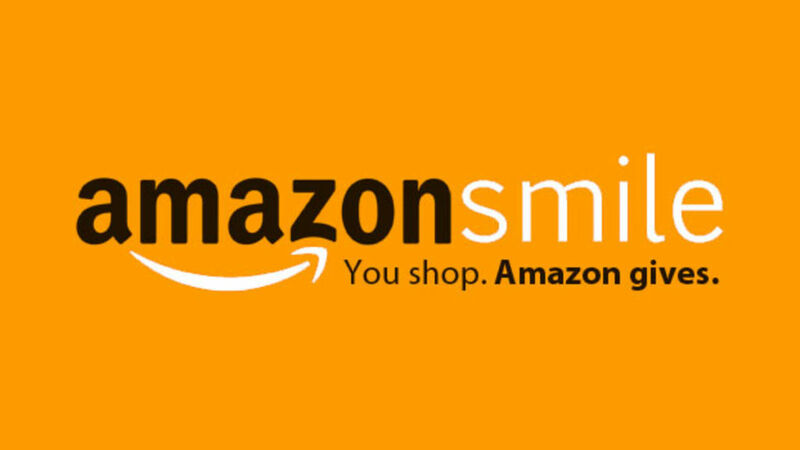 By clicking on the button to the right, it will automatically add the International Critical Incident Stress Foundation as the supporting non-profit so when you shop, a percentage of your order will be donated to ICISF through the AmazonSmile Foundation. ICISF has developed fundraising pages for individuals to "Help Save The Heroes" in their community. These fundraising pages make it easy to create a personalized fundraiser anywhere in the world to help support ICISF. Learn about each campaign below and get started today! 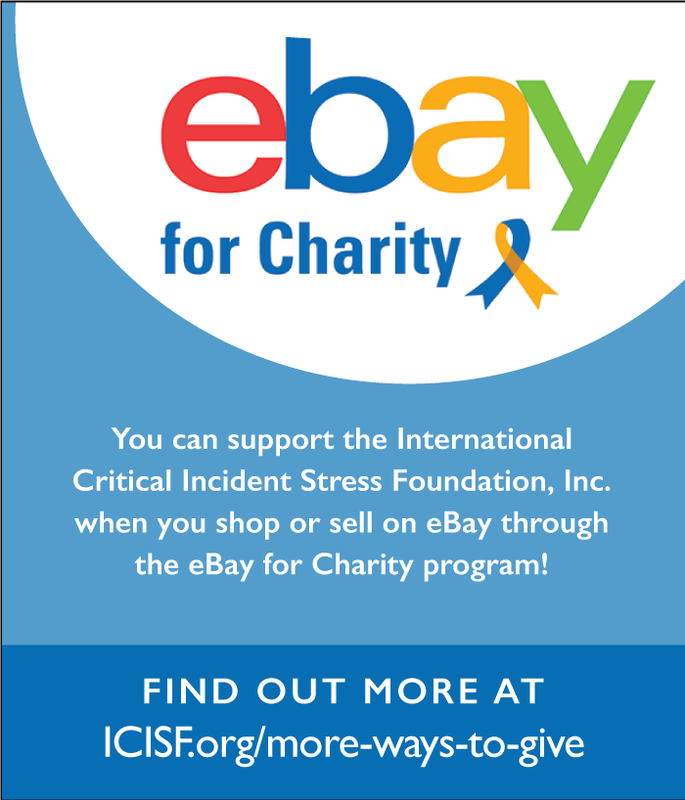 Shop or sell and support International Critical Incident Stress Foundation, Inc. on eBay. 100% of the donations the PayPal Giving Fund receives are granted to charities. Your donation will be made to PayPal Giving Fund, an IRS-registered 501(c)(3) public charity (Federal Tax ID: 45-0931286). PayPal Giving Fund is the charity of record and will provide the donation receipt for your gift. Learn more by reading the article at the bottom of this page. Below are some articles about how you can support ICISF and first responders, military, clinicians, airline staff, hospital personnel, and more we help both locally and worldwide.